Raymond B. Huey (Ph.D. Harvard, Biology, 1975), Professor of Biology, University of Washington. 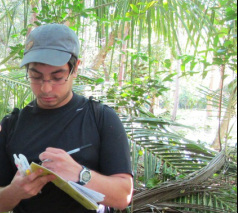 His current research focuses on vulnerability of tropical ectotherms to climate warming, with a special interest in Puerto Rican Anolis lizards. His other research interests have included the evolutionary physiology of ectotherms (lizards, Drosophila); ecology, evolution, and physiology of foraging mode; evolution of thermal sensitivity and stress resistance; rates and predictability of evolution in introduced species; the adaptive significance of phenotypic plasticity; behavioral ecology; paleophysiology; and epidemiology of Himalayan mountaineers. He has done field work in Peru, the Caribbean, Chile, the Kalahari Desert, Australia, western North America, Europe, and even Texas. 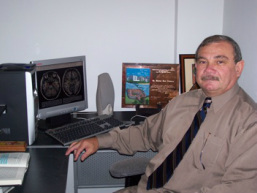 He has published over 170 articles in the scientific literature. Huey’s major honors include Miller Research Fellow, Past-President American Society of Naturalists, J. S. Guggenheim Fellowship, membership in American Academy of Arts & Sciences, and numerous distinguished and plenary lectureships. Paul E. Hertz is a Professor of Biology at Barnard College in New York City. He has studied Caribbean anoles since 1974, conducting field work in Puerto Rico, Martinique, the Dominican Republic, and Cuba. He has also worked on agamid lizards in Israel and lacertid lizards in Spain. His research has focused on patterns of geographical and seasonal variation in thermoregulatory behavior and the consequences of body temperature variation within and among populations. In many of his studies he has used copper operative temperature models to establish null hypotheses that describe the behavior and temperature that would be observed in non-thermoregulating lizards. Brad Lister is a Research Professor of Biology at Rensselaer Polytechnic Institute in Tory, New York. 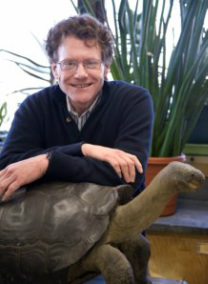 He received his Ph.D. in Ecology and Evolutionary Biology from Princeton University. 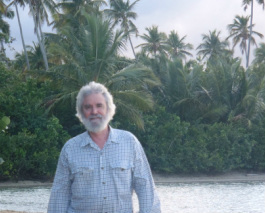 His research has ranged from island biogeography and evolutionary ecology to community and behavioral ecology. 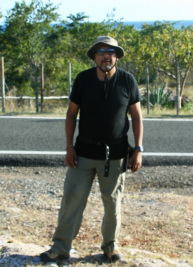 Recent work has involved computational ecology, especially the stability of model ecosystems, and field studies at the Cuixmala Biosphere Reserve in Jalisco, Mexico, where he is a senior scientist. Currently, he is conducting an NSF-funded research project on the Vulnerability of Tropical Ectotherms to Climate Warming in the Luquillo rainforest and the Guanica tropical dry forest in Puerto Rico. Biologist graduated from Universidad Nacional Autónoma de México (UNAM) and posgraduated from University of New Mexico. He is a fulltime researcher at the Estación de Biología Chamela of Instituto de Biología (UNAM), Jalisco, Mexico. Main interests include the ecology, biogeography and conservation of Mexican Herpetofauna especially those inhabiting seasonally tropical dry forests. His research is focused on how environmental factors could explain the temporal and spatial distribution of diversity from the species to the community level and how climate change will affect these patterns. Main concern in conservation is to analyze the impact of habitat modification and deforestation, and other anthropogenic threats on the distributional patterns of richness, endemism, microendemism and endangerment. Research in A. Sabat population ecology laboratory is very broad and varied focusing not only in demography and population dynamics in a broad range of marine, aquatic and terrestrial species, but also in the link between behavior and population level processes such as spacing behavior and predator-prey interactions. from the State University of New York at Albany. Patricia A. Burrowes did her undergraduate education at Iowa State University in animal Ecology and then went on to do her graduate studies at the University of Kansas under William E. Duellman on the ecology of cloud forest amphibians for her masters, and the population genetics and reproductive biology of a cave-dwelling frog for her doctorate. 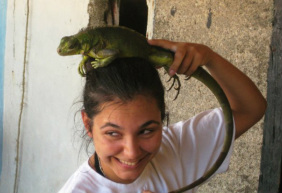 Since she joined the faculty at the University of Puerto Rico, she has been interested in the effect of climate change on population fluctuations of amphibians as well as the role of seasonality in modulating disease ecology, specifically chytridiomycosis, on direct-developing frogs. She co-directs Proyecto Coqui, an NGO for the conservation of the Puerto Rican amphibians and the IUCN’s Amphibian Specialist Group for the Caribbean. Dr. Hector Joel Alvarez Perez holds a Ph.D. in Biology and a Master of Science Education, majoring in Biology. He is a professor in the Science Program of the Education School in the University of Puerto Rico, Río Piedras. He has led major projects in the science curriculum reform in Puerto Rico, all subsidized by the National Science Foundation. He has worked for the past 25 years in trainings for teachers and lecturers from various universities inside and outside Puerto Rico. One of his main research interest has been in the area of how people learn, especially the contribution of neuroscience to cognitive theory of learning. His most recent focus of research was the development of concepts for learners at all levels and how the "alternative ideas" (misconceptions) influence what is learned. Efrén is an undergraduate student at University of Puerto Rico, Río Piedras Campus, majoring in Biology. His current academic and career goal is to finish his bachelor’s degree to further studies in herpetology where the primordial field of interest is Tropical Herpetofauna, particularly in the Caribbean Tropic. He has worked in Camp Guajataka for the Boy Scouts of America with the Nature Team Patrol where he acquired skills in conservation projects, public speaking through classes, interpretative hikes, and group dynamics.